Drive the slow scenic route along the Victorian coast. Along the way call in at historic port towns, see the seal and koala colonies and the daily Penguin Parade on Phillip Island. A short drive from Bairnsdale, Yarram is an Aboriginal word for ‘plenty of water’. Wander around the many interesting old buildings in town, including the old Court House, an architectural gem now serving as an information centre. The oldest settlements in Victoria, Alberton and Tarraville, are a short drive from Bairnsdale, as is Tarra Bulga National Park, a cool climate rainforest with scenic walks and picnic facilities. Discover the well-kept secret that is Port Albert, Victoria’s first established port and home to more than 40 Georgian and Victorian buildings. Ships from Europe and America carrying thousands of hopeful Chinese people on their way to the goldfi elds berthed here. 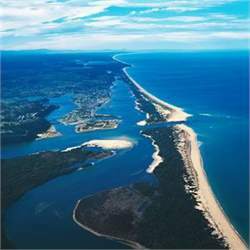 Follow the coastline to Wilsons Promontory National Park, located at the Australian mainland’s southernmost point and famous for its flora and fauna, wild ocean beaches and mountain views. Set up camp or book into accommodation. 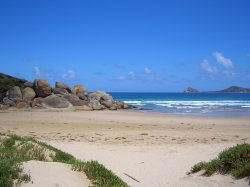 Choose from the many walks, including the trail to Squeaky Beach with its pure white quartz sand or the walk up Mt Oberon for a great panoramic view. Set out on an overnight hike with all your gear and walk into one of the 11 campsites around the park, or hike the 20 kilometres along Telegraph Saddle to the light station, where you can stay in the original lighthouse keeper’s cottage. As you move around the park look out for kangaroos, birds, echidnas, wombats and other wildlife. Mainland Wonthaggi is home to Victoria's black coal industry. Visit the State Coal Mine and the Coal Creek Heritage Village. Or get out into the open air and pedal or walk the 16-kilometre Bass Coast Rail Trail from Wonthaggi to Anderson. Fishing enthusiasts can find excellent surf and estuary fi shing around Venus Bay and Tarwin Lower, and at Coal Creek Heritage Village in Korumburra you can experience the life and times of a 19th century coal mining village. While in the area, taste a wide variety of premium cool climate wines at the cellar door or sample quality meats, fine cheeses and fresh local produce in the cafes and stores of Koonwarra. Surrounded by some of the best surf and swimming beaches in Victoria, Phillip Island is a popular family coastal getaway. Don’t miss the nightly parade of hundreds of little penguins at Phillip Island Nature Park. The island is also home to Australia’s largest colony of Australian fur seals and a healthy population of koalas that you can see from treetop boardwalks at the Koala Conservation Centre. Each October the Australian Motorcycle Grand Prix comes to the island for a three day festival of high speed racing on two wheels. Accommodation choices are abundant and the island is home to several seaside villages to explore. Take in the breathtaking beauty of the coastline which features north facing beaches and cliff top ocean vistas. There is an endless array of attractions for you to explore.